This article is about an event and period in the history of England, Ireland, Scotland and Wales. For other uses, see Restoration (disambiguation). The term Restoration is used to describe both the actual event by which the monarchy was restored, and the period of several years afterwards in which a new political settlement was established. It is very often used to cover the whole reign of Charles II (1660–1685) and often the brief reign of his younger brother James II (1685–1688). In certain contexts it may be used to cover the whole period of the later Stuart monarchs as far as the death of Queen Anne and the accession of the Hanoverian George I in 1714; for example Restoration comedy typically encompasses works written as late as 1710. The Commonwealth, which preceded the English Restoration, might have continued if Oliver Cromwell's son Richard, who was made Lord Protector on his father's death, had been capable of carrying on his father's policies. Richard Cromwell's main weakness was that he did not have the confidence of the army. After seven months, an army faction known as the Wallingford House party removed him on 6 May 1659 and reinstalled the Rump Parliament. Charles Fleetwood was appointed a member of the Committee of Safety and of the Council of State, and one of the seven commissioners for the army. On 9 June 1659, he was nominated lord-general (commander-in-chief) of the army. However, his leadership was undermined in Parliament, which chose to disregard the army's authority in a similar fashion to the post-First Civil War Parliament. A royalist uprising was planned for 1 August 1659, but it was foiled. However, Sir George Booth gained control of Cheshire; Charles II hoped that with Spanish support he could effect a landing, but none was forthcoming. Booth held Cheshire until the end of August when he was defeated by General Lambert. The Commons, on 12 October 1659, cashiered General John Lambert and other officers, and installed Fleetwood as chief of a military council under the authority of the Speaker. The next day Lambert ordered that the doors of the House be shut and the members kept out. On 26 October a "Committee of Safety" was appointed, of which Fleetwood and Lambert were members. Lambert was appointed major-general of all the forces in England and Scotland, Fleetwood being general. The Committee of Safety sent Lambert with a large force to meet George Monck, who was in command of the English forces in Scotland, and either negotiate with him or force him to come to terms. It was into this atmosphere that Monck, the governor of Scotland under the Cromwells, marched south with his army from Scotland. Lambert's army began to desert him, and he returned to London almost alone. Monck marched to London unopposed. The Presbyterian members, excluded in Pride's Purge of 1648, were recalled, and on 24 December the army restored the Long Parliament. Fleetwood was deprived of his command and ordered to appear before Parliament to answer for his conduct. On 3 March 1660, Lambert was sent to the Tower of London, from which he escaped a month later. He tried to rekindle the civil war in favour of the Commonwealth by issuing a proclamation calling on all supporters of the "Good Old Cause" to rally on the battlefield of Edgehill, but he was recaptured by Colonel Richard Ingoldsby, a participant in the regicide of Charles I who hoped to win a pardon by handing Lambert over to the new regime. Lambert was incarcerated and died in custody on Guernsey in 1694; Ingoldsby was indeed pardoned. The departure of Charles II from Scheveningen (1660). On 4 April 1660, Charles II issued the Declaration of Breda, in which he made several promises in relation to the reclamation of the crown of England. Monck organised the Convention Parliament, which met for the first time on 25 April. On 8 May it proclaimed that King Charles II had been the lawful monarch since the execution of Charles I on 30 January 1649. "Constitutionally, it was as if the last nineteen years had never happened." Charles returned from exile, leaving the Hague on 23 May and landing at Dover on 25 May. He entered London on 29 May 1660, his 30th birthday. To celebrate His Majesty's Return to his Parliament, 29 May was made a public holiday, popularly known as Oak Apple Day. He was crowned at Westminster Abbey on 23 April 1661. Some contemporaries described the Restoration as "a divinely ordained miracle". The sudden and unexpected deliverance from usurpation and tyranny was interpreted as a restoration of the natural and divine order. The Cavalier Parliament convened for the first time on 8 May 1661, and it would endure for over 17 years, finally being dissolved on 24 January 1679. Like its predecessor, it was overwhelmingly Royalist. It is also known as the Pensionary Parliament for the many pensions it granted to adherents of the King. The leading political figure at the beginning of the Restoration was Edward Hyde, 1st Earl of Clarendon. It was the "skill and wisdom of Clarendon" which had "made the Restoration unconditional". Many Royalist exiles returned and were rewarded. Prince Rupert of the Rhine returned to the service of England, became a member of the privy council, and was provided with an annuity. George Goring, 1st Earl of Norwich, returned to be the Captain of the King's guard and received a pension. Marmaduke Langdale returned and was made "Baron Langdale". William Cavendish, Marquess of Newcastle, returned and was able to regain the greater part of his estates. He was invested in 1666 with the Order of the Garter (which had been bestowed upon him in 1650), and was advanced to a dukedom on 16 March 1665. The Indemnity and Oblivion Act, which became law on 29 August 1660, pardoned all past treason against the crown, but specifically excluded those involved in the trial and execution of Charles I. Thirty-one of the 59 commissioners (judges) who had signed the death warrant in 1649 were living. The regicides were hunted down; some escaped but most were found and put on trial. Three escaped to the American colonies. New Haven, Connecticut, secretly harbored Edward Whalley, William Goffe and John Dixwell, and after American independence named streets after them to honour them as forefathers of the American Revolution. In the ensuing trials, twelve were condemned to death. Fifth Monarchist Thomas Harrison, the first person found guilty of regicide, who had been the seventeenth of the 59 commissioners to sign the death warrant, was the first regicide to be hanged, drawn and quartered because he was considered by the new government still to represent a real threat to the re-established order. In October 1660, at Charing Cross or Tyburn, London, ten were publicly hanged, drawn and quartered: Thomas Harrison, John Jones, Adrian Scrope, John Carew, Thomas Scot, and Gregory Clement, who had signed the king's death warrant; the preacher Hugh Peters; Francis Hacker and Daniel Axtell, who commanded the guards at the king's trial and execution; and John Cooke, the solicitor who directed the prosecution. The 10 judges who were on the panel but did not sign the death warrant were also convicted. Oliver Cromwell, Henry Ireton, Judge Thomas Pride, and Judge John Bradshaw were posthumously attainted for high treason. Because Parliament is a court, the highest in the land, a bill of attainder is a legislative act declaring a person guilty of treason or felony, in contrast to the regular judicial process of trial and conviction. In January 1661, the corpses of Cromwell, Ireton and Bradshaw were exhumed and hanged in chains at Tyburn. In 1661 John Okey, one of the regicides who signed the death warrant of Charles I, was brought back from Holland along with Miles Corbet, friend and lawyer to Cromwell, and John Barkstead, former constable of the Tower of London. They were all imprisoned in the Tower. From there they were taken to Tyburn and hanged, drawn and quartered on 19 April 1662. A further 19 regicides were imprisoned for life. John Lambert was not in London for the trial of Charles I. At the Restoration, he was found guilty of high treason and remained in custody in Guernsey for the rest of his life. Sir Henry Vane the Younger served on the Council of State during the Interregnum even though he refused to take the oath which expressed approbation (approval) of the King's execution. At the Restoration, after much debate in Parliament, he was exempted from the Indemnity and Oblivion Act. In 1662 he was tried for high treason, found guilty and beheaded on Tower Hill on 14 June 1662. The Instrument of Government, The Protectorate's written constitutions, gave to the Lord Protector the King's power to grant titles of honour. Over 30 new knighthoods were granted under the Protectorate. These knighthoods passed into oblivion upon the Restoration of Charles II, however many were regranted by the restored King. Of the eleven Protectorate baronetcies, two had been previously granted by Charles I during the Civil War – but under Commonwealth legislation they were not recognised under the Protectorate (hence the Lord Protector's regranting of them), however when that legislation passed into oblivion these two baronets were entitled to use the baronetcies granted by Charles I – and Charles II regranted four more. Only one now continues: Sir Richard Thomas Willy, 14th baronet, is the direct successor of Sir Griffith Williams. Of the remaining Protectorate baronets one, Sir William Ellis, was granted a knighthood by Charles II. Edmund Dunch was created Baron Burnell of East Wittenham in April 1658, but this barony was not regranted. The male line failed in 1719 with the death of his grandson, also Edmund Dunch, so no one can lay claim to the title. 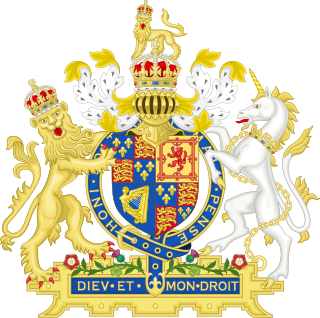 The one hereditary viscountcy Cromwell created for certain,[a] (making Charles Howard Viscount Howard of Morpeth and Baron Gilsland) continues to this day. In April 1661, Howard was created Earl of Carlisle, Viscount Howard of Morpeth, and Baron Dacre of Gillesland. The present Earl is a direct descendant of this Cromwellian creation and Restoration recreation. On 6 January 1661, about 50 Fifth Monarchists, headed by a wine-cooper named Thomas Venner, tried to gain possession of London in the name of "King Jesus". Most were either killed or taken prisoner; on 19 and 21 January 1661, Venner and 10 others were hanged, drawn and quartered for high treason. The Church of England was restored as the national Church in England, backed by the Clarendon Code and the Act of Uniformity 1662. People reportedly "pranced around May poles as a way of taunting the Presbyterians and Independents" and "burned copies of the Solemn League and Covenant". "The commonwealth parliamentary union was, after 1660, treated as null and void". As in England the republic was deemed constitutionally never to have occurred. 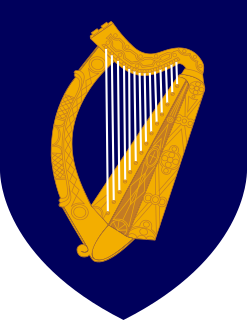 The Convention Parliament was dissolved by Charles II in January 1661, and he summoned his first parliament in Ireland in May 1661. In 1662, 29 May was made a public holiday. Coote, Broghill and Sir Maurice Eustace were initially the main political figures in the Restoration. George Monck, Duke of Albemarle was given the position of Lord Lieutenant of Ireland but he did not assume office. In 1662 the 1st Duke of Ormonde returned as the Lord Lieutenant of Ireland and became the predominant political figure of the Restoration period. Charles was proclaimed King again on 14 May 1660. He was not crowned, having been previously crowned at Scone in 1651. The Restoration "presented an occasion of universal celebration and rejoicing throughout Scotland". Charles II summoned his parliament on 1 January 1661, which began to undo all that been forced on his father Charles I of Scotland. The Rescissory Act 1661 made all legislation back to 1633 'void and null'. Barbados, as a haven for refugees fleeing the English republic, had held for Charles II under Lord Willoughby until defeated by George Ayscue. When news reached Barbados of the King's restoration, Thomas Modyford declared Barbados for the King in July 1660. The planters, however, were not eager for the return of the former governor Lord Willoughby, fearing disputes over titles, but the King ordered he be restored. Jamaica had been a conquest of Oliver Cromwell's and Charles II's claim to the island was therefore questionable. However, Charles II chose not to restore Jamaica to Spain and in 1661 it became a British colony and the planters would claim that they held rights as Englishmen by the King's assumption of the dominion of Jamaica. The first governor was Lord Windsor. He was replaced in 1664 by Thomas Modyford who had been ousted from Barbados. New England, with its Puritan settlement, had supported the Commonwealth and the Protectorate. Acceptance of the Restoration was reluctant in some quarters as it highlighted the failure of puritan reform. Rhode Island declared in October 1660 and Massachusetts lastly in August 1661. New Haven provided refuge for Regicides such as Edward Whalley, William Goffe and John Dixwell and would be subsequently merged into Connecticut in 1662, perhaps in punishment. John Winthrop, a former governor of Connecticut, and one of whose sons had been a captain in Monck's army, went to England at the Restoration and in 1662 obtained a Royal Charter for Connecticut with New Haven annexed to it. Maryland had resisted the republic until finally occupied by New England Puritans/Parliamentary forces after the Battle of the Severn in 1655. In 1660 the Governor Josias Fendall tried to turn Maryland into a Commonwealth of its own in what is known as Fendall's Rebellion but with the fall of the republic in England he was left without support and was replaced by Philip Calvert upon the Restoration. Virginia was the most loyal of King Charles II's dominions. It had, according to the eighteenth-century historian Robert Beverley, Jr., been "the last of all the King's Dominions that submitted to the Usurpation". Virginia had provided sanctuary for Cavaliers fleeing the English republic. Sir William Berkeley, who had previously been governor up until 1652, was elected governor in 1660 by the House of Burgesses and he promptly declared for the King. The Anglican Church was restored as the established church. In 1663 the Province of Carolina was formed as a reward given to some supporters of the Restoration. The province was named after the King's father, Charles I. Historian Roger Baker argues that the Restoration and Charles' coronation mark a reversal of the stringent Puritan morality, "as though the pendulum [of England's morality] swung from repression to licence more or less overnight". Theatres reopened after having been closed during the protectorship of Oliver Cromwell, Puritanism lost its momentum, and the bawdy "Restoration comedy" became a recognisable genre. In addition, women were allowed to perform on the commercial stage as professional actresses for the first time. In Scotland, Episcopacy was reinstated. To celebrate the occasion and cement their diplomatic relations, the Dutch Republic presented Charles with the Dutch Gift, a fine collection of old master paintings, classical sculptures, furniture, and a yacht. The Glorious Revolution ended the Restoration. The Glorious Revolution which overthrew King James II of England was propelled by a union of English Parliamentarians with the Dutch stadtholder William III of Orange-Nassau (William of Orange). William's successful invasion of England with a Dutch fleet and army led to his accession to the English throne as William III of England jointly with his wife Mary II of England, James' daughter. In April 1688, James had re-issued the Declaration of Indulgence and ordered all Anglican clergymen to read it to their congregations. When seven bishops, including the Archbishop of Canterbury, submitted a petition requesting the reconsideration of the King's religious policies, they were arrested and tried for seditious libel. On 30 June 1688, a group of seven Protestant nobles invited the Prince of Orange to come to England with an army; by September it became clear that William would invade England. When William arrived on 5 November 1688, James lost his nerve, declined to attack the invading Dutch and tried to flee to France. He was captured in Kent; later, he was released and placed under Dutch protective guard. Having no desire to make James a martyr, William, Prince of Orange, let him escape on 23 December. James was received in France by his cousin and ally, Louis XIV, who offered him a palace and a pension. William convened a Convention Parliament to decide how to handle the situation. While the Parliament refused to depose James, they declared that James, having fled to France had effectively abdicated the throne, and that the throne was vacant. To fill this vacancy, James's daughter Mary was declared Queen; she was to rule jointly with her husband William, Prince of Orange, who would be king. The English Parliament passed the Bill of Rights of 1689 that denounced James for abusing his power. The abuses charged to James included the suspension of the Test Acts, the prosecution of the Seven Bishops for merely petitioning the crown, the establishment of a standing army, and the imposition of cruel punishments. The bill also declared that henceforth no Roman Catholic was permitted to ascend the English throne, nor could any English monarch marry a Roman Catholic. ^ CEE staff 2007, Restoration. ^ EB staff 2012, Restoration. ^ Keeble 2002, pp. 8–10. ^ Hutton 2000, p. 121. ^ a b c d e Chisholm 1911, p. 108. ^ Firth 1892, p. 10. ^ House of Commons 1802a. ^ Harris 2005, p. 47. ^ House of Commons 1802b. ^ Jones 1978, p. 15. ^ Clark 1953, p. 3. ^ Weight & Haggith 2014, pp. 18–21. ^ McIntosh 1982, pp. 195–216. ^ Harris 2005, pp. 52–53. ^ Jackson 2003, p. 14. ^ Jackson 2003, p. 78. ^ Higham 1921, p. 10. ^ Higham 1921, pp. 12–14. ^ Monteith & Richards 2001, pp. 36–39. ^ Bremers 1995, pp. 151–153. ^ Middleton 2002, p. 111. ^ Middleton 2002, p. 112. ^ Beverley 1722, p. 51. ^ Baker 1994, p. 85. Baker, Roger (1994). Drag: A History of Female Impersonation In The Performing Arts. New York City: NYU Press. p. 85. ISBN 978-0-8147-1253-5. CEE staff (2007). "Restoration". The Columbia Electronic Encyclopedia (6th ed.). Columbia University Press. Retrieved 15 April 2012. Chisholm, Hugh, ed. (1911). "Lambert, John" . Encyclopædia Britannica. 16 (11th ed.). Cambridge University Press. pp. 108, 109. EB staff (2012). "Restoration". Encyclopaedia Britannica (online ed.). Retrieved 15 April 2012. Clark, Sir George (1953). The Later Stuarts 1660–1714 (2nd ed.). Oxford University Press. p. 3. Firth, Charles Harding (1892). "Ingoldsby, Richard (d.1685)" . In Lee, Sidney (ed.). Dictionary of National Biography. 29. London: Smith, Elder & Co. pp. 9–11. Harris, Tim (2005). Restoration:Charles II and His Kingdoms 1660–1685. Allen Lane. "House of Commons Journal Volume 8: 8 May 1660". Journal of the House of Commons: Volume 8, 1660–1667. London: His Majesty's Stationery Office: 16–18. 1802a. "House of Commons Journal Volume 8: 30 May 1660". Journal of the House of Commons: Volume 8, 1660–1667. London: His Majesty's Stationery Office: 49–50. 1802b. Hutton, Ronald (2000). The British Republic 1649–1660 (2nd ed.). Macmillan. p. 121. Jones, J.R. (1978). Country and Court: England 1658–1714. Edward Arnold. p. 15. Keeble, N. H. (2002). The Restoration: England in the 1660s. History of Early Modern England Series. Oxford: Blackwell Publishers. ISBN 978-0-631-23617-7. McIntosh, A.W. (1982). "The Numbers of the English Regicides". History. 67 (220): 195–216. doi:10.1111/j.1468-229X.1982.tb01387.x. JSTOR 24418886. Weight, Richard; Haggith, Toby (February 2014). "Reluctant Regicides". History Today. 64 (22): 18–21. Yadav, Alok (18 July 2010). "Historical Outline of Restoration and 18th-Century British Literature". Retrieved 15 April 2012. Lockyer, Roger (2004). Tudor and Stuart Britain: 1485–1714 (3rd ed.). ISBN 978-0582771888. The Commonwealth was the period from 1649 to 1660 when England and Wales, later along with Ireland and Scotland, were ruled as a republic following the end of the Second English Civil War and the trial and execution of Charles I. 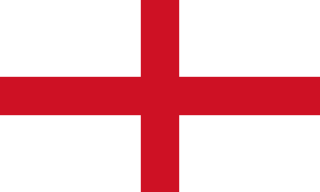 The republic's existence was declared through "An Act declaring England to be a Commonwealth", adopted by the Rump Parliament on 19 May 1649. Power in the early Commonwealth was vested primarily in the Parliament and a Council of State. 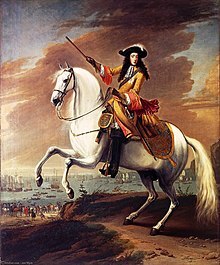 During the period, fighting continued, particularly in Ireland and Scotland, between the parliamentary forces and those opposed to them, as part of what is now referred to as the Third English Civil War. 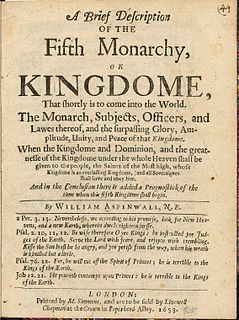 The Fifth Monarchists or Fifth Monarchy Men were an extreme Puritan sect active from 1649 to 1660 during the Interregnum, following the English Civil Wars of the 17th century. They took their name from a prophecy in the Book of Daniel that four ancient monarchies would precede the kingdom of Christ. They also referred to the year 1666 and its relationship to the biblical Number of the Beast indicating the end of earthly rule by carnal human beings. They were one of a number of nonconformist dissenting groups that emerged around this time. The Long Parliament was an English Parliament which lasted from 1640 until 1660. It followed the fiasco of the Short Parliament which had convened for only three weeks during the spring of 1640, and which in turn had followed an 11-year parliamentary absence. In September 1640, King Charles I issued writs summoning a parliament to convene on 3 November 1640. He intended it to pass financial bills, a step made necessary by the costs of the Bishops' Wars in Scotland. The Long Parliament received its name from the fact that, by Act of Parliament, it stipulated it could be dissolved only with agreement of the members; and, those members did not agree to its dissolution until 16 March 1660, after the English Civil War and near the close of the Interregnum. 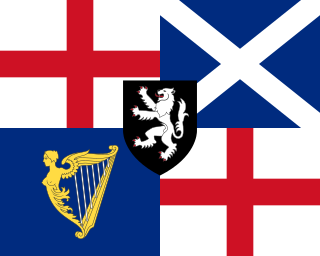 The Protectorate was the period during the Commonwealth when England and Wales, Ireland and Scotland were governed by a Lord Protector as a republic. The Protectorate began in 1653 when, following the dissolution of the Rump Parliament and then Barebone's Parliament, Oliver Cromwell was appointed Lord Protector of the Commonwealth under the terms of the Instrument of Government. In 1659 the Protectorate Parliament was dissolved by the Committee of Safety as Richard Cromwell, who had succeeded his father as Lord Protector, was unable to keep control of the Parliament and the Army. This marked the end of the Protectorate and the start of a second period of rule by the Rump Parliament as the legislature and the Council of State as the executive. John Lambert was an English Parliamentary general and politician. He fought during the English Civil War and then in Oliver Cromwell's Scottish campaign (1650–51), becoming thereafter active in civilian politics until his dismissal by Cromwell in 1657. During this time he wrote the Instrument of Government, one of only two codified constitutions ever adopted in Britain, and was influential in bringing about the Protectorate. Sir Arthur Haselrig, 2nd Baronet was a leader of the Parliamentary opposition to Charles I and one of the Five Members whose attempted arrest sparked the 1642-1646 First English Civil War. He held various military and political posts during the 1639-1651 Wars of the Three Kingdoms but became an opponent of Oliver Cromwell during the Protectorate. In 1660, his actions inadvertently helped restore Charles II to the throne; unlike many senior Parliamentary leaders, his life was spared but he was confined to the Tower of London, where he died on 7 January 1661. William Lenthall was an English politician of the Civil War period. He served as Speaker of the House of Commons. The Wars of the Three Kingdoms, sometimes known as the British Civil Wars, formed an intertwined series of conflicts that took place in the kingdoms of England, Ireland and Scotland between 1639 and 1651. The English Civil War proper has become the best-known of these conflicts; it included the abolition of the monarchy and the execution of the kingdom's monarch, Charles I, by the English Parliament in 1649. Colonel Robert Lilburne (1613–1665) was the older brother of John Lilburne, the well known Leveller. Unlike his brother, who severed his relationship with Oliver Cromwell, Robert Lilburne remained in the army. He is also classed as a regicide for having been a signatory to the death warrant of King Charles I in 1649. He was forty-seventh of the fifty nine Commissioners. Charles Fleetwood was an English Parliamentarian soldier and politician, Lord Deputy of Ireland in 1652–1655, where he enforced the Cromwellian Settlement. Named Cromwell's Lieutenant General for the Third English Civil War, Fleetwood was thereafter one of his loyalest supporters throughout the Protectorate. After the Lord Protector's death, Fleetwood was initially supportive of his brother-in-law Richard Cromwell, but turned against him and forced him from power. Together with his colleague John Lambert he dominated government for a little over a year before being outmaneuvered by George Monck. At the Restoration he was included in the Act of Indemnity as among the twenty liable to penalties other than capital, and was finally incapacitated from holding any office of trust. His public career then closed. The Restoration of the monarchy began in 1660. The Commonwealth of England, Scotland and Ireland (1649–60) resulted from the Wars of the Three Kingdoms but collapsed in 1659. Politicians such as General Monck tried to ensure a peaceful transition of government from the "Commonwealth" republic back to monarchy. From 1 May 1660 the English, Scottish and Irish monarchies were all restored under King Charles II. The term Restoration may apply both to the actual event by which the monarchy was restored, and to the period immediately before and after the event.